Donald Trump's presidency is shaped by Fox News. Trump doesn't just watch the channel, he peddles information he hears from it, citing Fox in his defense while standing alongside the leader of one of America's most important allies. Trump tweets about stories he sees on Fox. He uses Fox graphics to advance his agenda. And he gives his TV interviews to Fox — five of the seven he's sat down for since moving into the White House. Trump hires former Fox staffers. He promotes Fox as "fair" and attacks its rivals as "fake." And now he's dealing with an international incident provoked by a Fox commentator. On Day 58 of the Trump presidency, none of it is surprising anymore. But it still is extraordinary. "It's hard to think of a similarly close relationship between a president and a single outlet," historian Jon Meacham told CNN. "Politicians have always had favored reporters to whom they leaked, but I really think you would have to go all the way back to the overtly partisan press of the 19th century to find a parallel." It seems like Trump "listens to Fox News and other cable news shows as if they were his advisers," RealClearPolitics reporter Rebecca Berg said on CNN's "The Situation Room." Trump has 26.6 million followers on Twitter and has been called a social media president. He's also been called a cable news president. Lately, however, he has earned a more specific title: a Fox News president. Opinion shows like "Fox & Friends" and "Hannity" seem to influence the president. In mid-February, for instance, the president ignited a furor by citing a non-existent terror attack in Sweden after seeing a "Tucker Carlson Tonight" segment about "refugee violence in Sweden." And the president has tweeted or retweeted about Fox segments a dozen times so far in March. Trump's three most recent TV interviews have been with Fox interviewers. Fox's Jesse Watters — a Bill O'Reilly sidekick who now has a Saturday night show — joked around with Trump and asked him about Alec Baldwin and Snoop Dogg, among other subjects. At the end of the interview, Trump praised Watters, said he "should be making good money" at Fox, and added, "honestly, you've been so nice to me." On Instagram, Watters posted a picture with Trump on Air Force One, with both men flashing thumbs-up to the camera. Fox stars like Sean Hannity have also been giving Trump a big thumbs-up on a daily basis. While the channel's highly-rated opinion shows feature both liberal and conservative guests, the shows are a rather consistent source of support for the president's agenda -- a morale booster of sorts amid skeptical coverage on other channels. Detractors say that Trump and his aides, by relying too heavily on the conservative media echo chamber, are closing themselves off to the kind of debate and flow of information that governing requires. Alex Conant, a GOP communications consultant, said he credits Fox with "providing balanced coverage in a media environment where so many are reflexively anti-Trump." But he said the president "needs to depend on staff and intel briefings for his primary source of information. Otherwise there will be huge disconnects -- as we're seeing now." Case in point: An unsubstantiated story by Fox legal analyst Andrew Napolitano made it from Fox's airwaves to the White House podium on Thursday, when press secretary Sean Spicer cited it to defend Trump's baseless claim about Obama wiretapping. Napolitano said he had sources who alleged that Obama used the British to spy on Trump. The claim has been roundly denied, and Fox News has backed away from it. Like many Fox personalities, Napolitano has a history with Trump. The former New Jersey Superior Court judge conferred with Trump about potential Supreme Court nominees in January. There was a parade of other Fox personalities at Trump Tower before inauguration day, including Kimberly Guilfoyle and Jeanine Pirro. One longtime Fox commentator, KT McFarland, is now a deputy national security adviser. Former Fox contributor Ben Carson is now the HUD secretary. A third contributor, Monica Crowley, accepted a job in the administration, but gave up the job after CNN uncovered extensive plagiarism in her past. Several other Fox commentators, like Mike Huckabee and Laura Ingraham, held talks with Trump officials about possible roles in the administration. Two other Fox appointments are pending. "Fox & Friends" newscaster Heather Nauert is reportedly on the verge of becoming the State Department spokeswoman. Ex-Fox contributor Richard Grenell, a former U.S. spokesman, is in line to become NATO ambassador. Trump's ties to Fox are not new. Before Trump launched his presidential campaign in June 2015, Trump regularly called into "Fox & Friends." And the man who made Fox News what it is today, founding chairman Roger Ailes, had a friendly relationship with Trump dating back decades. Ailes, of course, was ousted amid charges of sexual harassment before Trump's electoral victory in November. He has denied the charges. Rupert Murdoch, the patriarch of the channel's parent company 21st Century Fox, now doubles as the chairman of Fox News. Murdoch has also had a decades-long relationship with Trump. NPR recently reported that "Murdoch has told close associates that the nation's 45th president calls to confer frequently — as often as multiple times a week — and that he has visited the White House to meet with Trump more than once." Murdoch's spokeswoman declined to comment on the frequency of the meetings. 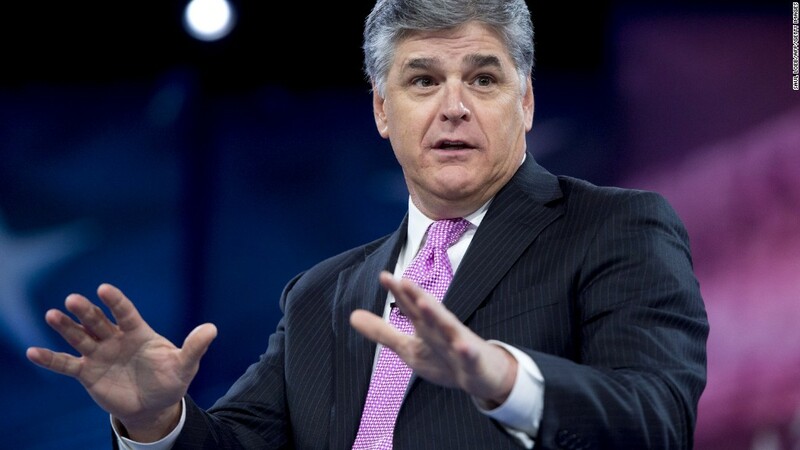 Fox executives say there are big differences between its opinion shows, like "Hannity," and its newscasts, a point also recently made by chief White House correspondent John Roberts. "Our programming department has had a relationship with the president, but the news division of Fox News — we still have to struggle as hard as anybody else to dig up information," Roberts said at a panel discussion at the National Press Club. With Napolitano, however, the lines were blurred. He brought up the claim about British intelligence both on a newscast and on opinion shows. And he cited Fox News "sources," suggesting the network's news division had confirmed his information. But on Friday, the news division said no. "We love" Napolitano, Bret Baier said on the air, but "the Fox News division was never able to back up those claims." And as for the president? When he was asked about Spicer's invocation of Napolitano's claims at a press conference, Trump told the questioner to call his favorite cable news channel. "All we did was quote a certain very talented legal mind," Trump said, adding, "That was a statement made by a very talented lawyer on Fox... You shouldn't be talking to me, you should be talking to Fox. Ok?"